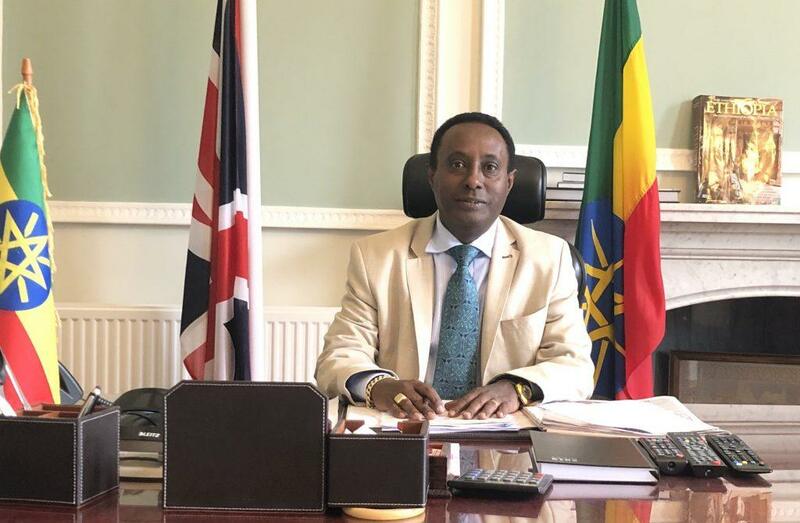 Ambassador Fesseha Shawel Gebre officially assumed his duties as the newly-appointed Ethiopian Ambassador to the United Kingdom on Monday 4thMarch 2018. A career diplomat, Ambassador Fesseha brings with him almost 30 years of experience having served at Diplomatic Missions in Juba, Nairobi, Mogadishu and Cairo, as well as at various posts within the Ministry of Foreign Affairs. Ambassador Fesseha arrives at a time when Ethio-UK relations are at an all-time high and has made it his mission to strengthen these relations further during his tenure. In his first month, the Ambassador has made courtesy visits to British Museums to explore avenues for cooperation. He has also held consultations with members of the Ethiopian Diaspora, the Diplomatic Corps, investors and, sadly, had to deal with the aftermath of the tragic Ethiopian Airlines crash.